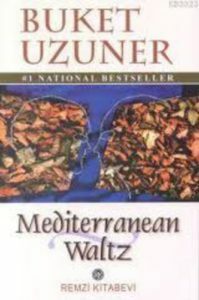 The latest addition to my website is Buket Uzuner‘s Kumral Ada Mavi Tuna (Mediterranean Waltz). This is a complicated novel about love and war. Duna Atacan, as a five year old boy, meets Ada Mercan, two years his senior, whose family – the parents are both famous actors – has moved near to his family. He is immediately smitten with Ada and will remain so throughout the book, but she soon prefers his dashing, older brother, Aras, and Ada and Aras seem destined to be together, though Ada remains close to Duna. At the beginning of the book, a civil war breaks out and Duna, now married to Merich, is called up and, at the same time, he learns that Ada appears to have confessed to a murder. We follow both the stories of Ada, Duna, Aras and Merich, Ada’s cousin who comes to live with the Mercans when her parents divorce, as they grow up and also the nightmarish story of Duna’s adventures in the army. It is certainly a good read as Duna plunges into his nightmare of war and we learn of the complications of the four children as they become young adults.